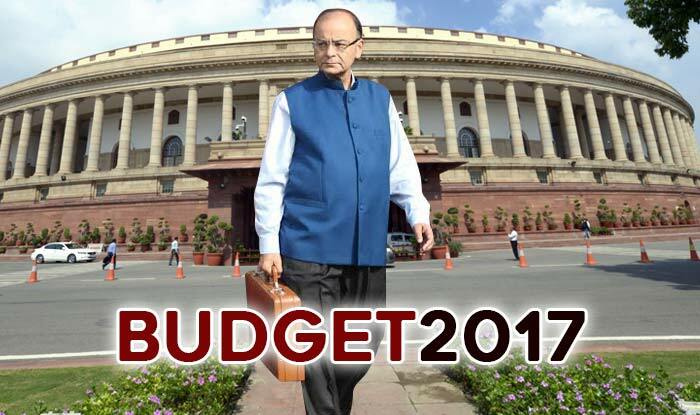 Finance Minister Arun Jaitley presented the Union Budget 2017-2018 in Lok Sabha on Wednesday. This is the fourth budget by the Narendra Modi government. Jaitley said the demonetisation move by Prime Minister Narendra Modi on November 8, 2016 will not have a lasting impact on the economy. 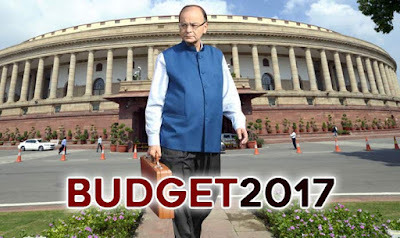 Jaitley also announced that the budget allocation for welfare of women and children under various ministries will be increased to Rs 1,84,632 crore. Merger of Railways Budget with General Budget brings focus on a multi-modal approach for development of railways, highways and inland water transport. Railways will focus on passenger safety, capital works and cleanliness, among other issues. 12. Railways will offer competitive ticket booking facility. 1. National Testing agency to conduct all examinations in higher education, freeing CBSE and other agencies. 2. Will introduce a system of measuring annual learning outcomes and come out with an innovation fund for secondary education. 3. Focus will be on 3,479 educationally-backward blocks. 4. Colleges will be identified based on accreditation. 5. Skill India mission was launched to maximise potential. Will set up 100 India International centres across the country. 6. Courses on foreign languages will be introduced. 7. Will take steps to create 5000 PG seats per annum. 10. Allocation for Scheduled Castes is Rs. 52,393 crore. 2. Rs. 1.26,000 cr for energy production-based investments received. 8. Rate of growth of advance tax in Personal I-T is 34.8% in last three quarters of this financial year. 10. Propose to have carry-forward of MAT for 15 years. 11. Capital gains tax to be exempted for persons holding land from which land was pooled for creation of state capital of Telangana. 12. Corporate tax: In order to make MSME companies more viable, propose to reduce tax for small companies of turnover of up to 16. Rs 50 crore to 25%. About 67 lakh companies fall in this category. 96% of companies to get this benefit. 14. SIT on black money suggested no cash transactions of more than Rs 3 lakh. Govt has accepted this proposal. 15. Income Tax Act to be amended. No transaction above Rs 3 lakh to be permitted in cash. 16. Limit of cash donation by charitable trust reduced to Rs 2,000 from Rs 10,000. 17. Net revenue loss in direct tax could be Rs. 20,000 crore. 18. India’s tax to GDP ratio is not favourable. 19. Out of 13.14 lakh registered companies, only 5.97 lakh companies have filed returns for 2016-17. 1. Existing rate of tax for individuals between Rs. 2.5- Rs 5 lakh reduced to 5% from 10%. 2. There will be zero tax liability to people having annual income up to Rs 3 lakh to avoid duplication of benefits for the Rs 2.5-R 5 lakh tax slab. 3. All other categories of tax payers in subsequent brackets will get benefit of Rs 12,500. 4. Simple one page return for people with annual income of Rs. 5 lakh other than business income. 5. People filing I-T returns for the first time will not come under govt. scrutiny. 6. 10% surcharge on individual income above Rs. 50 lakh and up to Rs 1 crore to make up for Rs 15,000 crore loss due to cut in personal I-T rate. 15 surcharge on individual income above Rs. 1 crore to remain. 1. Maximum amount of cash donation for political parties will be Rs 2,000 from any one source from Rs 20,000. 3. Amendment is being proposed to RBI Act to enable issuance of electoral bonds that government will scheme. 4. Donor can purchase these bonds from banks or post office via cheque or digital transactions. They can be redeemed only by registered political parties.